Martin Pegler is a prolific chronicler on military sniping, perhaps best known for his 2004 book Out of Nowhere: A History of the Military Sniper. By way of background and qualifications he is the former Senior Curator of Firearms at the Royal Armouries Museum, Leeds. 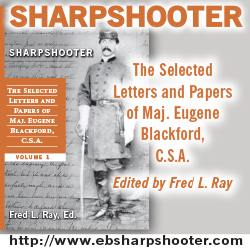 While the book just mentioned has a section on the Civil War, here he delves deeply into a very specialized subject – a detailed look at the rifles used by the sharpshooters on both sides. The book is only 80 pages so obviously the available space is somewhat limited, but then this is not a book for the specialist interested in exactly what the difference was between the fourth and fifth model changes, but rather for the general reader who wants to know a thing or two about the rifles without being overwhelmed by detail. 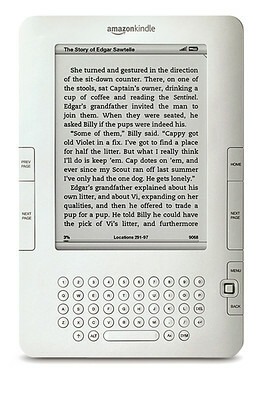 As such it succeeds very well, and at $20 (cheaper on Amazon) it won’t break your budget or hog space on your bookshelf. 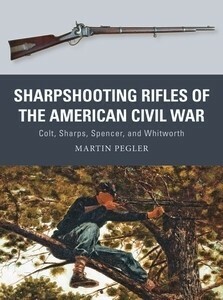 Pegler begins with a look at the rapid advances in rifle technology in the first half of the 19th Century, including the invention of the Minie ball the work of Joseph Whitworth on long-range shooting, and the changeover from smoothbore muskets to rifles, which led to the development of the specialist sharpshooter. He also covers the other side of sharpshooting using heavy civilian target rifle, and includes helpful photos on how these beasts were actually loaded. Pegler also includes the Colt Model 1855 revolving rifle, not normally considered a sharpshooter’s weapon but issued briefly to Berdan’s 1st U.S.S.S. The men did not like them and cheered when they were finally replaced by the rifle they really wanted – the breech-loading Sharps, which in this case was a special model with double set triggers. He also devotes a section to Joseph Whitworth’s singular hex bore wonder rifle and its use by the Confederacy. This is not a book about tactics or organizations although Pegler does mention them and notes the split nature of the sharpshooter organizations by the end of the war. Most served as skirmishers and special troops, and needed not so much a precision rifle long-range rifle as one that would deliver overmatching firepower at close range. Thus late in the war many Federal organizations began using the Spencer repeater, which while not nearly as accurate as the Sharps or the rifle muskets could deliver a seven rounds in a very short time and then be quickly reloaded, while a few men retained their heavy target rifles. Pegler closes with a short section describing what it’s like to shoot the originals. Illustration and especially the photography is first rate, and many of the rifles are out of the author’s own extensive collection.In all, an excellent quick look at the sharpshooter’s hardware.